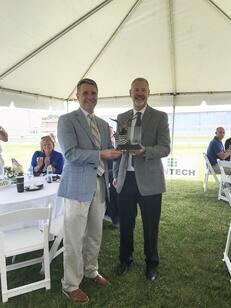 Matt Turpin – President / CEO of Zentech (right) presents Congressman Wittman with a beautiful eagle wrapped in a flag statuette, recognizing his devotion to the U.S. Navy and small businesses. U.S. Congressman Rob Wittman delivered the lunch keynote address. Congressman Wittman, a long-time advocate of both small businesses in Virginia and the Navy, currently serves on the House Armed Services Committee, as Chairman of the Seapower and Projection Forces Subcommittee, and as co-Chair of the Congressional Shipbuilding Caucus. Congressman Wittman’s remarks included outlining his continued support of our nation's military and his work in Congress to provide legislation that supports small businesses efforts to build technology that provides safety and security for our warfighters. He concluded by thanking the Navy representatives and employees at Zentech – Fredericksburg for the work that they do to support our great nation. A delicious lunch was catered by Mission BBQ, a military-focused small business. 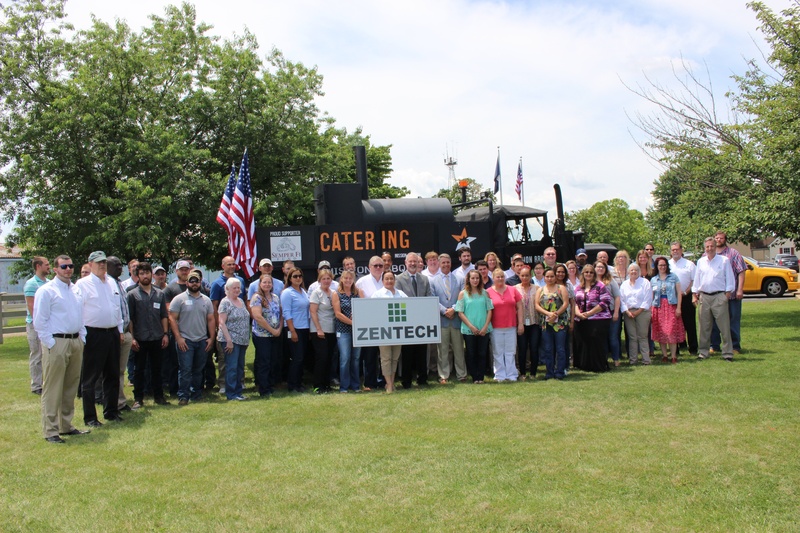 As we approach the July 4 holiday, Zentech thanks all the military members and their families for their sacrifice and dedication to this nation in protecting our freedoms.